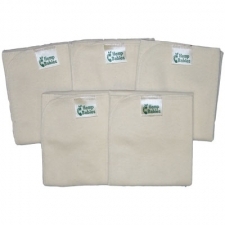 Hemp cloth diapers in a convenient and fast-drying flat. Flat diapers are the original one size diaper. 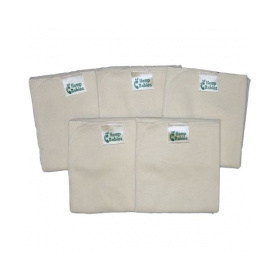 These durable and flexible diapers are super-absorbent and easy to use. Simply fold to fit your baby and you can use the same diapers from birth to potty training. For easiest use, simply fold into a rectangle and place inside a snug-fitting cover such as Thirsties. Hemp makes a wonderful overnight solution even for heavy wetters. Flat diapers also make wonderful burp cloths, lap pads, bed pads... They also work as inserts in extra large pocket diapers. You'll find a thousand uses for these wonderfully convenient diapers.